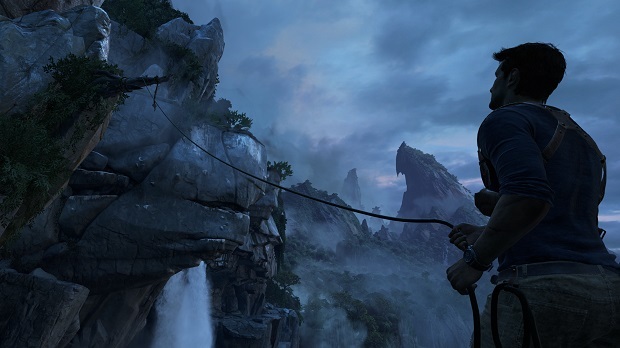 Sony has given some insight into the release window for the delayed Uncharted 4: A Thief’s End. New financial documents from Sony have Nathan Drake’s next adventure listed as part of its 2015 fiscal year strategy, indicating that Naughty Dog’s PS4 exclusive will finally be released before March 31st of 2016 when Sony’s fiscal year will end. Also included in Sony’s 2015 fiscal year strategy are plans to increase the development of its first-party games, something the company has acknowledged that it’s lacking in 2015. Uncharted 4 was delayed earlier this year after initially being scheduled for launch sometime in 2015. Whenever Nathan Drake’s PS4 debut does make its way to the platform, Naughty Dog plans to have it bring closure to his story. At PlayStation Experience, Naughty Dog walked fans through the process of bringing Nathan Drake to the PS4.